About 700,000 people in the United States have their gallbladder removed each year, often due to gallstones or because of blocked bile ducts. 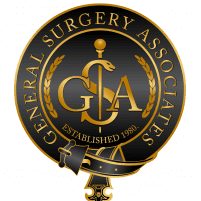 The team at General Surgery Associates are experts in gallbladder removal surgery. Book an appointment online or by phone at their Las Vegas, Nevada, location to learn more about what to expect when you have gallbladder surgery. Why might I need my gallbladder removed? Your gallbladder is a small organ that produces bile, a fluid that helps with digestion, but it commonly malfunctions. Gallstones, small solid deposits, can form if your bile contains too much cholesterol or too much bilirubin. Gallstones that become problematic can cause your gallbladder, your bile ducts, or your pancreas to become inflamed. If you have any of these problems, your doctor will likely recommend a cholecystectomy: gallbladder removal. What should I expect during gallbladder surgery? The number of cholecystectomies performed each year has risen from 200,000 in 1987 to more than 700,000 today, in large part due to the innovation of laparoscopic surgery. During a laparoscopic procedure, your surgeon makes several small incisions rather than one large one. A laparoscope is a long, thin tube with a camera attached. The camera transmits video images to a monitor where your surgeon can see your organs. Your surgeon uses tiny tools, inserted through the small incisions to remove your gallbladder. Usually, laparoscopic gallbladder removal surgery requires less time for recovery and has a lower risk of infection compared to traditional open surgery. However, there are times when your surgeon may recommend open surgery or may choose to switch from laparoscopic to open surgery mid-procedure. How long does it take to recover from gallbladder removal surgery? Both laparoscopic and open gallbladder removal surgery requires general anesthesia. If your surgeon decides that a laparoscopic procedure is appropriate, your surgery will probably take 1-2 hours. In some cases, you can return home on the same day, but sometimes you need to stay in the hospital overnight. Most people take about a week to fully recover. With open surgery, you will likely be in the hospital for 2-3 days. Because open surgery requires a larger incision that takes longer to heal, it may take 4-6 weeks for you to be completely back to normal. 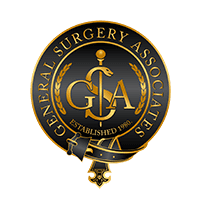 If you have any questions or concerns regarding gallbladder removal surgery, book an appointment online or by phone with one of the experts at General Surgery Associates.